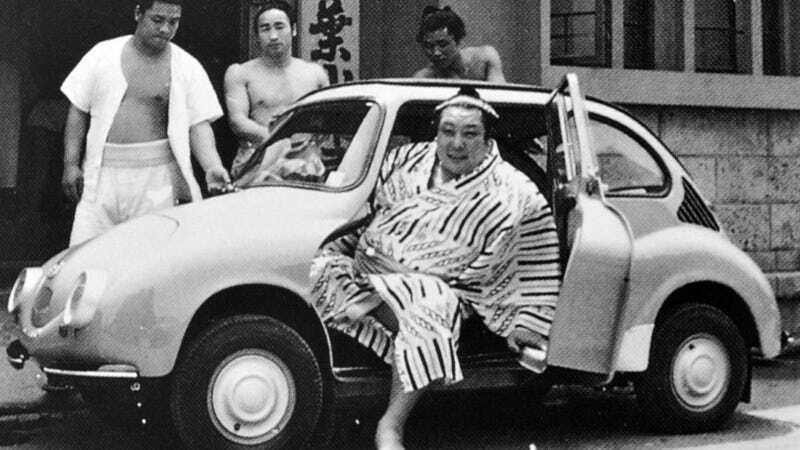 While Europeans got themselves some fantastic bubble cars after the war, the Japanese did something very similar with the introduction of the kei car category. The difference is that while the old continent switched to Mini's and Golfs pretty soon after things got back to normal, the Japanese kept their superminis under 660cc all along. The first kei car (meaning light motor car) engines were limited to just 150 cc ( or 100 cc for two-strokes) in 1949, but that number soon started to grow, and in 1955, the 360 cc period started. With cars like the Subaru 360 (in the topshot) or the Suzulight from Suzuki (a copy of the German LLoyd LP400), people could finally buy cars that gave a relevant answer to the nation's transportation needs. Later on, sportier cars appeared wearing yellow-black number plates instead of the green-white ones on full sized vehicles, as the superminis become the bestsellers of the islands. From 1976, the displacement limit was raised to 550 cc, while allowed length grew from 9.8 ft to 10.5 ft, with a 3.6 inch increase in width as well. The spring of 1990 started the 660 cc era, with the maximum power output limited to 64 horsepower. Since 1998, kei cars can reach an astonishing 11.2 feet length and a width of 4.9 feet. The only European car that complies with these rules is the Smart ForTwo, the strong-boned supermini coming from the brains of a swatchmaker and the knowhow of Daimler. But which period gave your favourite kei warrior?